Los Angeles County has agreed to fund $4 million in stormwater improvement projects including a “green street” to capture and treat urban runoff in South L.A.’s Watts neighborhood. The funding comes as a result of a lawsuit filed by the Natural Resources Defense Council (NRDC) and Los Angeles Waterkeeper against the Los Angeles County and the Los Angeles County Flood Control District from back in 2008. The lawsuit sought to hold the two entities liable for almost 500 violation of the local Clean Water Act permit along the watersheds for the Los Angeles and San Gabriel rivers. The coming improvements will include $1.2 million in funding for residential stormwater retrofit projects designed to hold, filter, and store stormwater runoff before it becomes contaminated by street-borne pollutants in unincorporated areas of Los Angeles County. The program will install so-called “distributed-infrastructure” measures like rain gardens, cisterns, and green roofs on residential sites in these areas to help achieve these goals. A major aspect of the initiative will focus on improving Watts’s 103rd Street corridor, a stretch of the city also known as “Charcoal Alley” that was heavily damaged in the 1965 Watts Uprising, via public right-of-way improvements. The strip will receive a series of upgrades aimed at filtering and sequestering stormwater runoff, as well, including the addition of bioswales, installing porous pavement, planting new street trees, including drought-tolerant and native landscaping, and other parkway improvements in an effort to filter water before it reaches the Los Angeles River. 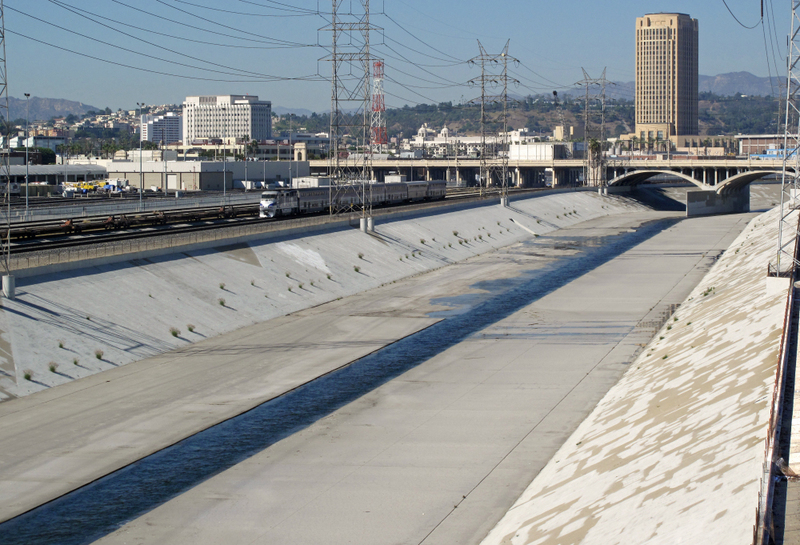 The L.A. River flows with a mix of treated wastewater and stormwater runoff and dumps directly into the Pacific Ocean. A design team has not been named for the projects, but the ruling shines a light on South L.A.’s relative dislocation from the larger L.A. River restoration measures currently underway and represents a positive shift in terms of design equity for the project.